I love the melding of two cultures – especially at weddings. It’s an opportunity to honour family traditions that mean so much while celebrating you as a couple, shaping a new set of unique traditions for your family to embrace. 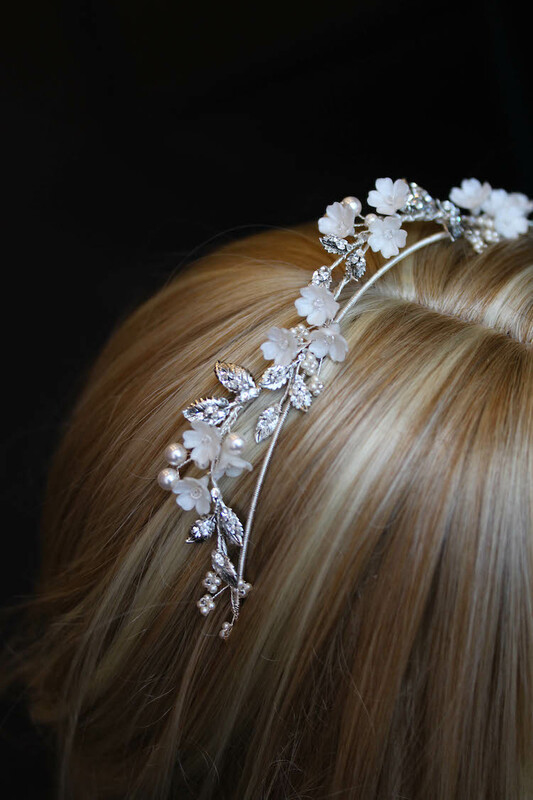 I first received an email from Samantha requesting a bespoke wedding hairpiece. While Samantha is Australian, her fiance is Sri Lankan and the pair were set to wed in a lovely traditional ceremony that paid tribute to his Sri Lankan heritage. Samantha expressed her desire to both celebrate her fiance’s heritage while maintaining an element of her unique personality and style. It’s customary for Sri Lankan brides to wear a sun and moon in their hair for good luck. It was important that we honoured this, but she wanted something understated and modern. I started asking her about what other hair pieces she liked and styles she naturally gravitated to, while gaining important details about her wedding dress. Samantha had the most incredible sari-inspired wedding dress designed for her, with exquisite gold beading details. Using this as inspiration, I set about crafting two simple, but elegant bridal combs – one representing the sun, the other the moon. We knew we had created something special when Samantha’s fiance and mother-in-law loved the pieces. 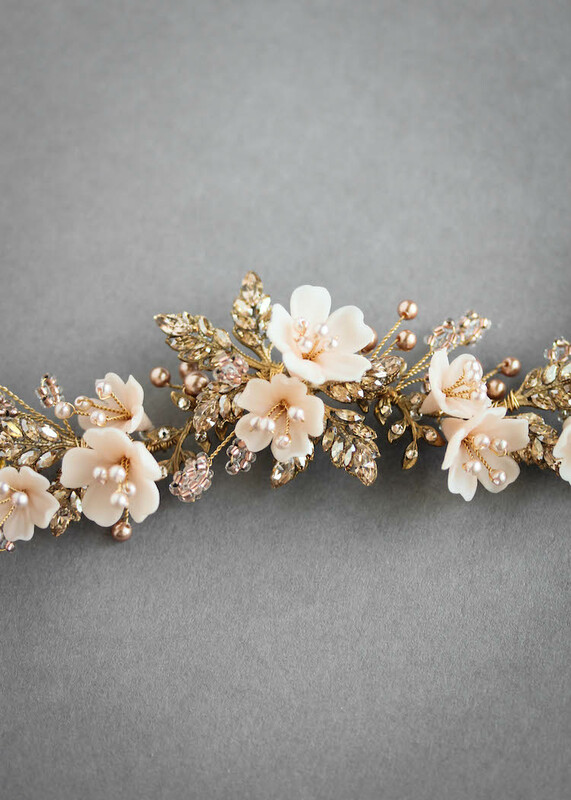 The bridal combs are timeless in their styling. I can just imagine these being passed down to be worn at future weddings. Samantha – thank you for allowing us to share in your day. You were amazing to work with and were a picture of perfection. Congratulations!! If you’re wanting to create a customised piece that truly represents your story, please drop us an email – let’s work together to create something beautiful.